Is he Jumpin’ Jack Flash? A Street Fighting Man? A Man of Wealth and Taste? All this, it turns out, and far more. By any definition, Mick Jagger is a force of nature, a complete original—and undeniably one of the dominant cultural figures of our time. Swaggering, strutting, sometimes elusive, always spellbinding, he grabbed us by our collective throat a half-century ago and—unlike so many of his gifted peers—never let go. 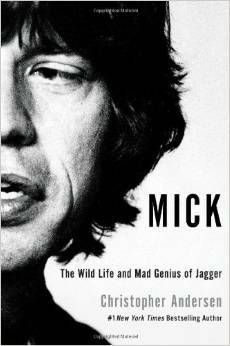 For decades, Mick has jealously guarded his many shocking secrets—until now. As the Rolling Stones mark their 50th anniversary, #1 New York Times bestselling author Christopher Andersen tears the mask from rock’s most complex and enigmatic icon in a no-holds-barred biography as impossible to ignore as Jagger himself.